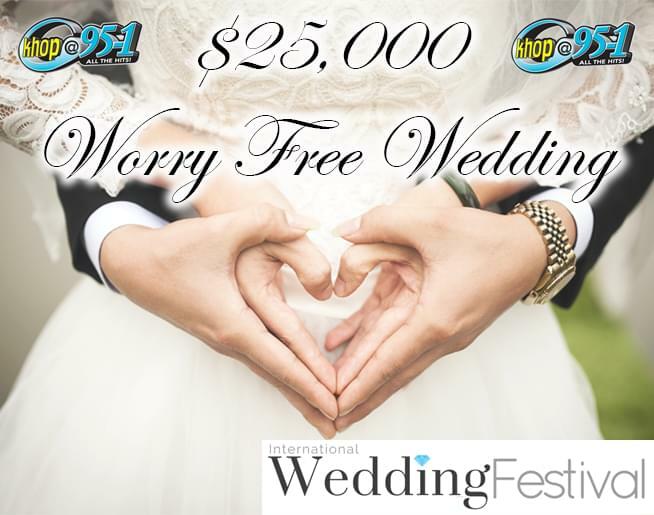 Worry Free Wedding…this year valued at $25,000! You won’t have to take care of a thing…but you have to win it! MONDAY MORNING. CHECK BACK MONDAY MORNING TO VOTE FOR YOUR FAVORITE COUPLE. The top three vote final three couples will then compete on stage at the International Wedding Festival January 27th at the Modesto Centre Plaza! What all do you win? The International Wedding Festival is Jan. 27th at the Modesto Centre Plaza! The top three vote getters will advance to the finale at the International Wedding Festival!